I am a hopeless romantic... but only when it comes to my clothes. 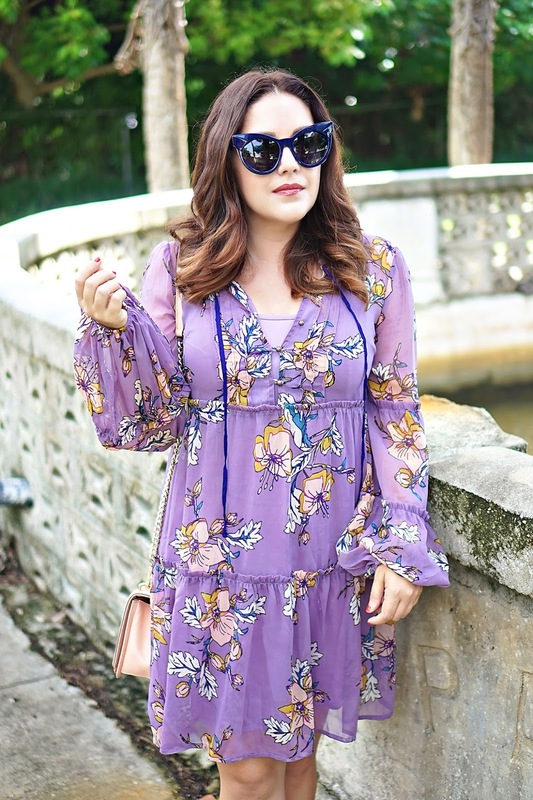 I can't resist a pretty floral, a pastel color palette, a voluminous sleeve, or a ruffle. And this dress has them all! But wait until you hear where it is from. Target, YES Target! I found it online and was doubtful if it would look as pretty in person. Fortunately, it was available at my local store so I dropped what I was doing and headed over to try it on. To my surprise it is equally pretty in person and fits well (not great, but it's supposed to be flowy). At $27.99 you cannot beat the price! 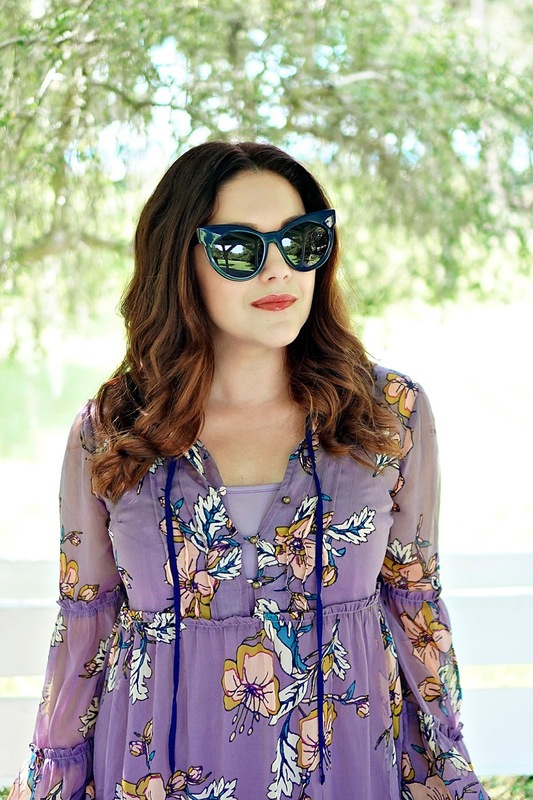 My other favorite part of this outfit are these stunning navy Karen Walker sunnies. I am obsessed! They are my latest rental from Ditto and I feel like it is going to be a while before I want to return them. If you have not tried Ditto yet, I don't know what you are waiting for. Especially if you have a sunglasses addiction like me. I get all the latest Karen Walkers I want for a year for less than the cost of one pair! Plus if you want to just try it out, you can get your first month free with the code HISTORYINHIGHHEELS.